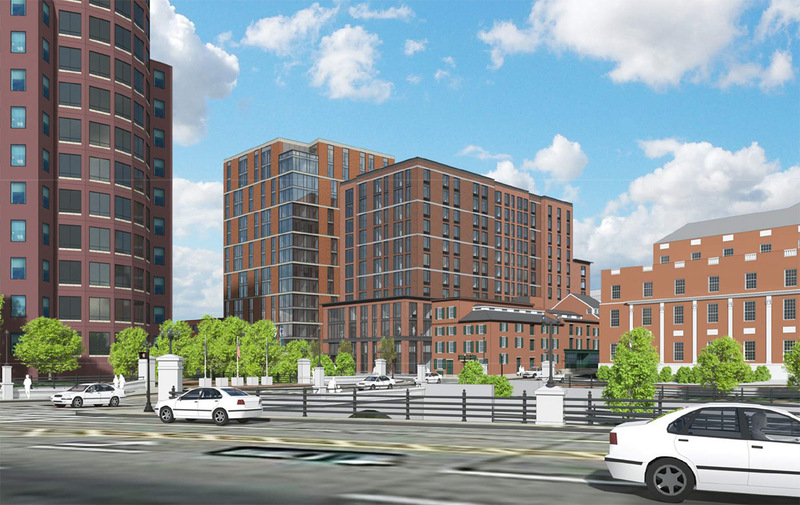 With a design that reflected reduced height and other concessions to unhappy neighbors, the Edge College Hill Two building won a conceptual approval Monday from the city’s Downtown Design Review Committee. Initially, many neighbors on College Hill who spoke at public meetings were opposed to the size of the new building. By Monday, with a reduced size, most in the committee’s audience were in favor of the project. The latest revision would take the building facing North Main Street down to a level of five stories, rather than seven. I think this is a good compromise to bring the North Main Street side down to a scale that people feel comfortable with, but allowing the Canal Street side to rise up to 11-stories, which is consistent with other buildings in the area. This project will still need to go back to DRC for final design approval, but it seems with this approval, the issues that were jeopardizing this project, have been put to rest. It would make for a more interesting building if the volume that was taken away on the N. Main St. side were allowed to be added as a couple extra stories on the Canal Street side. So 5 stories at N. Main, 11 in the middle, 13 facing Canal (or 11 at Canal, 13 in the middle). Its too much red/terra cotta for that site. That they are trying to be contextual with Phase 2 is laudable, but it all reads as one big blob. If you look across the way along canal (net to RISD and the river) there is a limestone “tower” that serves as a better precedent. I hope phase 2 gets clad in limestone, precast, or a like-colored brick. 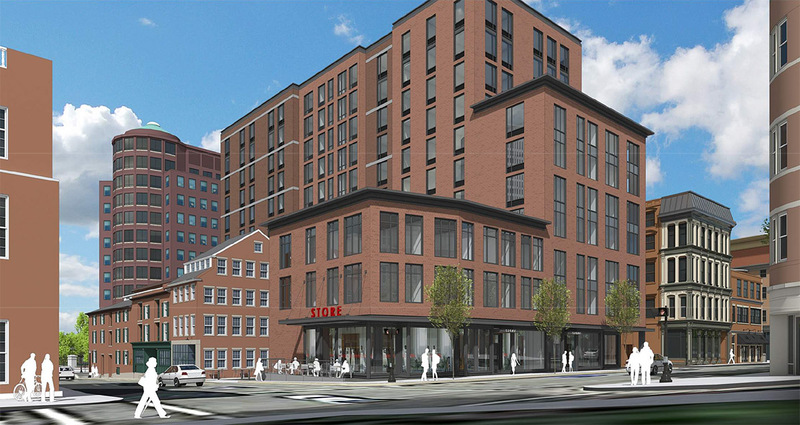 Will Providence ever get away from the red brick? I’ve never fully understood its use to convey or compliment historical surroundings when those surroundings offer so much variety in texture and material. I wasn’t able to find you email address in the followers list. Can you email contact@gcpvd.org with the email address(es) you are receiving notifications at?